Shediac, New Brunswick is a family vacation paradise nestled along New Brunswick’s spectacular eastern seashore. It’s known as the Lobster Capital of the World for lobster fishing, live-lobster tanks and the Lobster Festival. It’s also where you’ll find The World’s Largest Lobster. But lobster isn’t the only thing you’ll find in Shediac. You can take a dip in the warm saltwater beaches, kayak in one of the lakes or the ocean, enjoy local cuisine, visit local artisans and explore the vast spaces. We spent a day in Shediac and came up with a family-friendly itinerary for one of the most beautiful regions of Atlantic Canada. 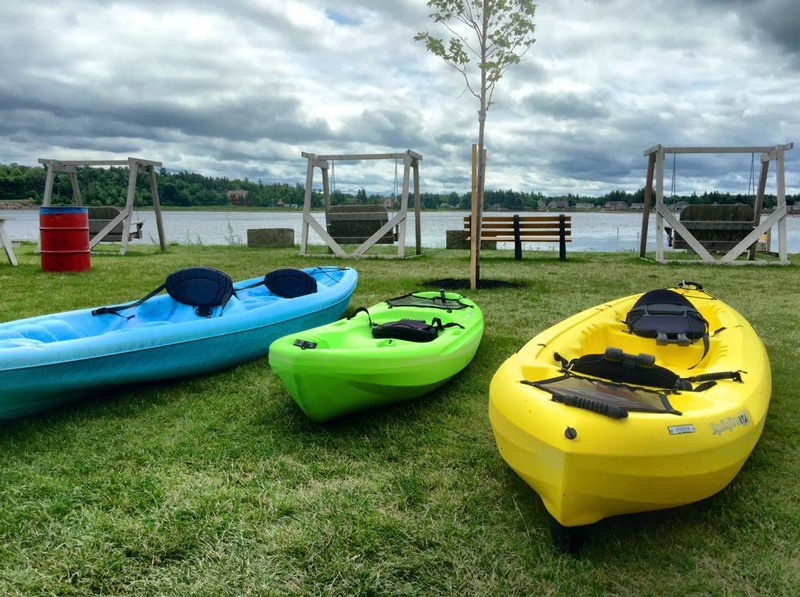 The drive to Shediac from Moncton is about 25 minutes so it could easily be a day trip from the city, although you may want more than one day once you see how many fantastic things there are to experience in and around the town. Take NB-15 E heading to New Brunswick 2/Airport (Moncton) and exit at 31B toward Shediac/Miramichi/Kouchibouguac. 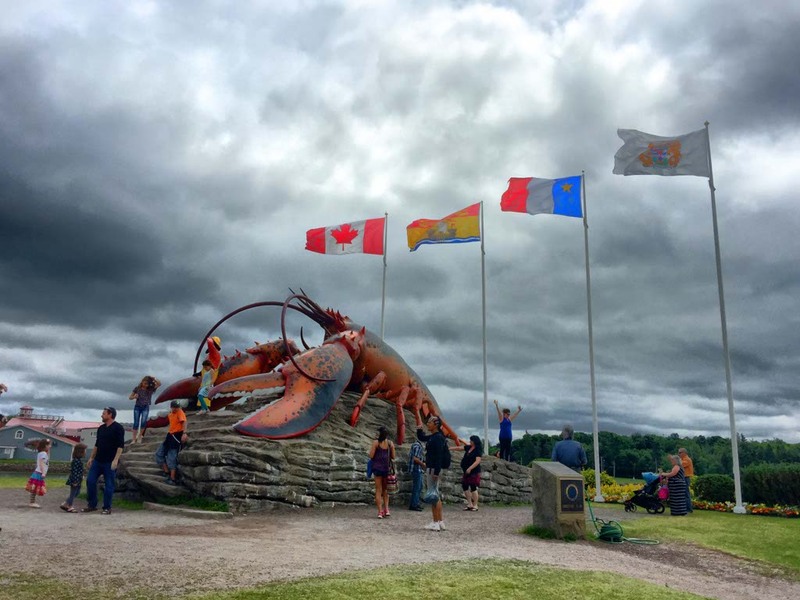 Take exit 1 for NB-133 toward Shediac to arrive at your first stop – The Giant Lobster. One of the most photographed attractions in New Brunswick is Shediac’s Giant Lobster. It stands 35 ft. in length, 16 ft. in width and 16 ft. in height, and weighs in at 90 tonnes. Athena and I quickly climbed on the monument to have our photo taken. There were tons of other people there with the same idea but we enjoyed checking out the intricacies of the sculpture. There is ample parking at the monument and a few shops with local crafts and souvenirs. Athena loved the swings and the playground at The Giant Lobster as well. Most of the other children were French, but language is usually not a barrier for children. She played with another little girl and they took turns going down the slide. Then, we rocked quietly on the swings while looking out over the river. Athena sang songs and watched the birds flying over head. While visiting the Giant Lobster, you can rent a kayak and take it out on the Scoudouc River. They offer life vests and the water is calm. Athena and I loved the gentle waves and the soft breeze on our faces. 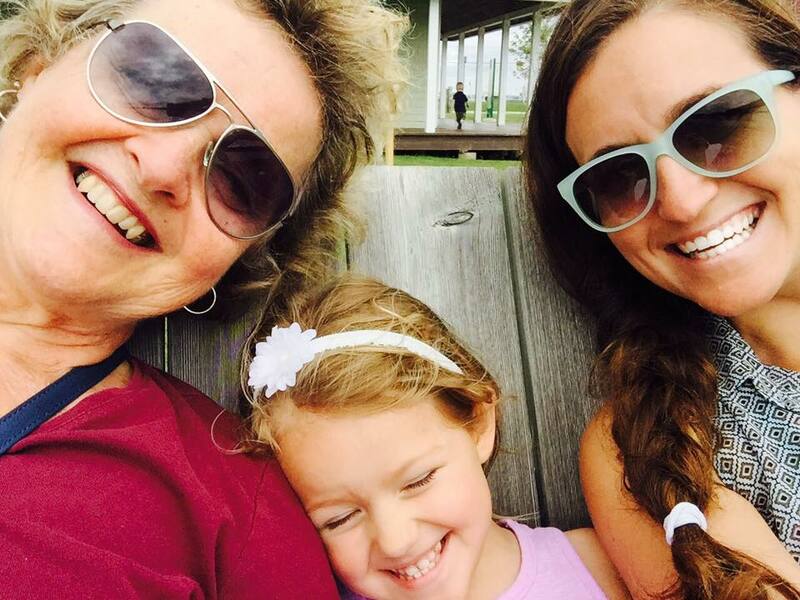 We used one kayak and Nanny used another one. We splashed each other with the paddles and searched for fish below the kayak. 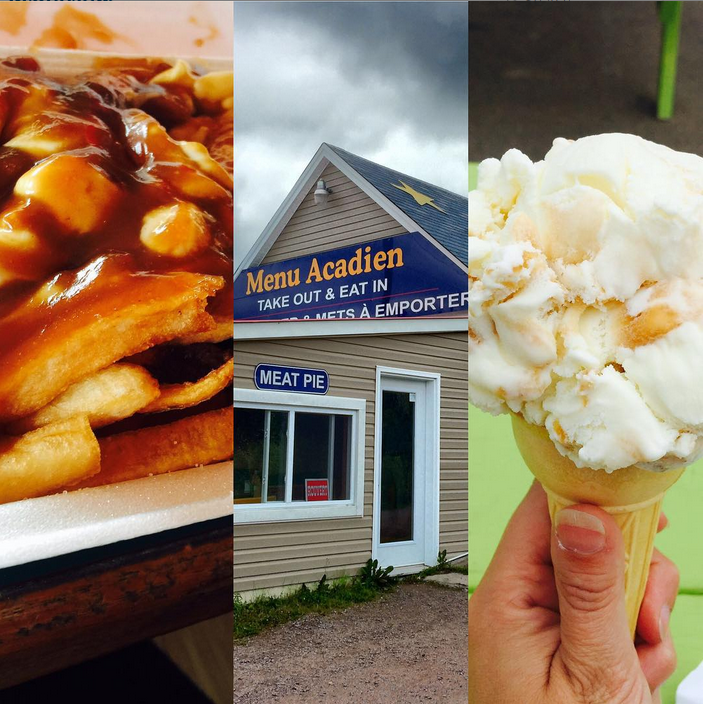 There are a number of fantastic restaurants in town but Menu Acadien is my favorite for lunch. It’s minutes from Parlee Beach and The Giant Lobster and specializes in homemade cooking. The food is authentic Acadian food and they are most popular for their Poutines Rappees, the most traditional Acadian meal in New Brunswick. I opted for a regular poutine and Athena had a grilled cheese. We finished off our meal with an ice cream from Ultramar on the corner of Main Street. 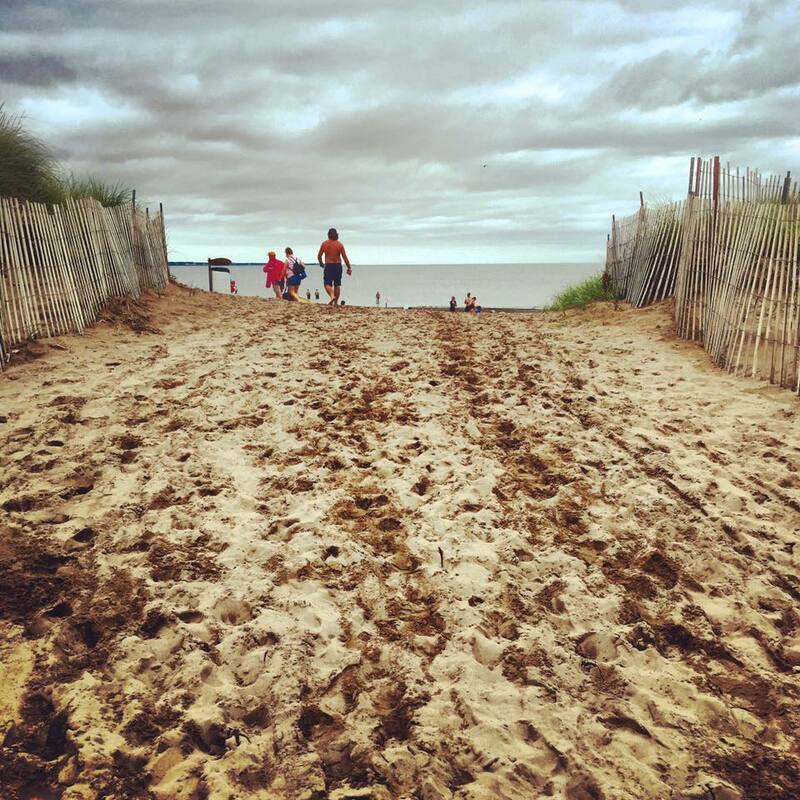 One of North America’s finest beaches, Parlee Beach boasts the warmest salt water in Canada. There are a variety of activities offered including a supervised swimming beach, volleyball, football, a sand-sculpture competition and daily scheduled sports activities. On-site, there is a restaurant, canteen, amphitheatre, change houses, showers, washrooms, playground, picnic area and ample parking. It costs $11 for parking and it’s valid for the entire day. 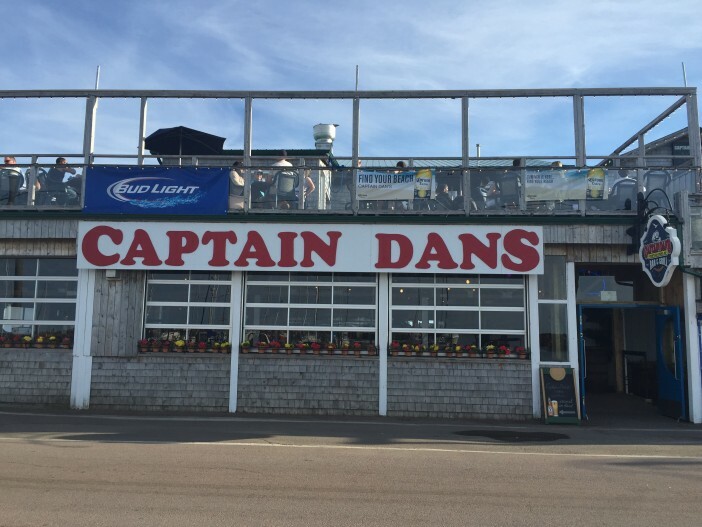 Located directly on the Historic Pointe du Chene wharf, Captain Dan’s Seafood Bar & Grill is renowned for its delectable seafood menu, maritime cheer and relaxed casual atmosphere overlooking the pristine Shediac Bay. Our meal was delicious with fantastic service and a spectacular view. Dining at Pointe du Chene wharf reminded me of many days sailing along the bay with Darren as we fell in love. It’s one of my favorite spots in the world. There are a number of day-trip options from Moncton, but there is no question that were are a beach-loving family. It’s our happy place. With delectable dining options, playgrounds around every corner and one of the most family-friendly beaches I know, Shediac is definitely a town worth visiting. We thought we’d stay in Moncton for our entire vacation and visit other places during the day, but Shediac is quickly moving up our list as the place to be. I live in Connecticut and have been meaning to visit that area for YEARS! For some reason, though, it never occurred to me that it would be a French-speaking territory. Does all of New Brunswick and Nova Scotia speak French? New Brunswick is a bilingual province. Most people speak French. Nova Scotia is not as French although a lot of people do speak it. It’s offered in the school system as well. You’re so close. It really should be on your list, especially in the summer or fall. What a pleasant day! Shediac looks like such a comfortable town for an outing! I need to make sure to spend time in the eastern Atlantic section of Canada! Are there ferries that travel to Prince Edward Island from the Shediac/Moncton areas? There is a ferry to PEI and there is a bridge as well. Is PEI somewhere you’ve been thinking about visiting? Thanks for this guide! Wow that really is quite the giant lobster!! Reminds me a lot of Australia – we have so many different “big” things in all of the small towns dotted along the East Coast – like the “Big Banana” or “Big Sheep” – kind of quirky – I love it! Kayaking sounds like a blast too and a really fun way to spend the day. Thanks for highlighting this! There are so many beautiful places to visit near here. Eastern Canada is so beautiful in the summer. Have you ever been? We head up to Maine every year but sometime we need to keep going and check out New Brunswick! This year we’ve been doing more exploring of Quebec (Quebec City and Montreal). New Brunswick and Nova Scotia really are a must. We have fantastic scenery and some of the most friendly people in the world. Looks like you had a great day all round! I liked the giant losbter especially! The poutine looks delish as well. I love seeing stories about places I´ve never dreamed of going and who know if I will ever. Great Story! Have you ever been to Canada, Orana? Where are you from? 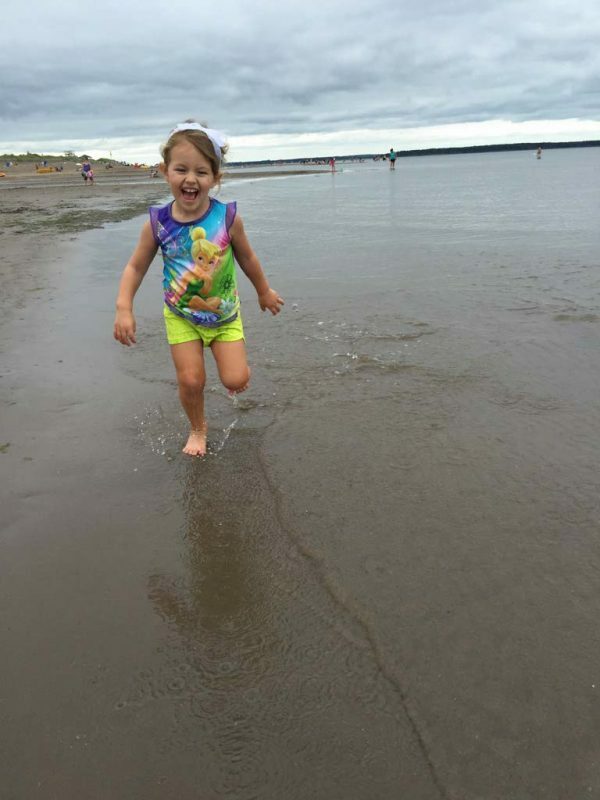 I love your pictures, especially the one at Parlee Beach – gorgeous This looks such a great place for family fun. I know mine would love to try kayaking, while I’d be happy with the food! There are so many unique food choices. We’ve been trying lots of things that we didn’t know exited even though we grew up in eastern Canada. You really do have such a great eye for photography! And you give me hope that if I do ever have a child, I can still travel to my hearts content. This little place looks like loads of fun. Uhhhh.. I miss poutine!! Thanks Bobbi! Travel has changed since Athena was born, but it doesn’t have to stop at all. I travel more now that she’s here and it’s wonderful to always have love and something to make you smile when you arrive in an unknown destination and you’re getting settled. Super cute town! I’m all about that giant lobster; what a cute photo op. The activities, the food and the location are perfect for a day trip but I bet it would even be great to rent a house and relax for a few days. I love a small town vibe and this place definitely has that. Great guide! That’s what I’ve been doing for the last few days. We were at a cabin with limited internet. I’ve been relaxing and enjoying every second. Poutine and the beach sounds incredible! Looks like you had a great family day out! Love the giant lobster too! Giant things are always good photo opportunities! I’m sold there is a giant lobster here. I feel like I would spend more money eating seafood than doing anything else here. It does look like a great place to take the kids. New Brunswick looks like a great spot to visit–I’ll have to check out Shediac sometime! The beach looks great–I would love to spend a day there and the kayaking would be a lot of fun too! Shediac looks great! I have always adored beach towns. Any place with tons of yummy lobster is ok with me! Looks like so much fun. You had me at lobster capital of the world. I’m in! New Brunswick looks like an ideal spot for a summer family vacation! Im hearing more and more about NB all the time …We are in Vancouver and I have never ventured east of Montreal (and even that was only for work) but one day I hope my family can road trip across the country! there is so much to explore!